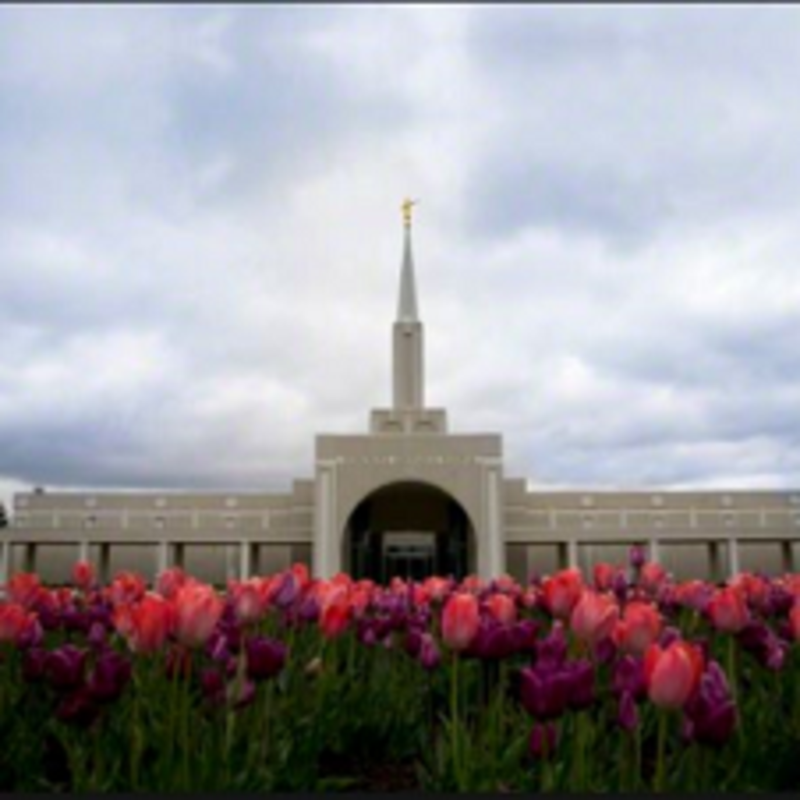 When I began serving in the Canada Toronto Mission, my first assignment was to an area where my trainer and I replaced both missionaries who had previously been serving there. We were in Don Valley West, which is just above Toronto. We initially discovered that we did not have any people to teach. We did have one investigator, though, whose name was Bonz, but we called her Bona. She was living with her sister’s family, and her sister was a member of The Church of Jesus Christ of Latter-day Saints. Bona had been taught most of the missionary lessons already. When we arrived in the area, she was working in Toronto during the week, and that first weekend, she was at Palmyra attending the Hill Cumorah Pageant. So, during that week, we texted her scriptures or emailed conference talks. We also arranged for a member to contact her and see how she was doing. 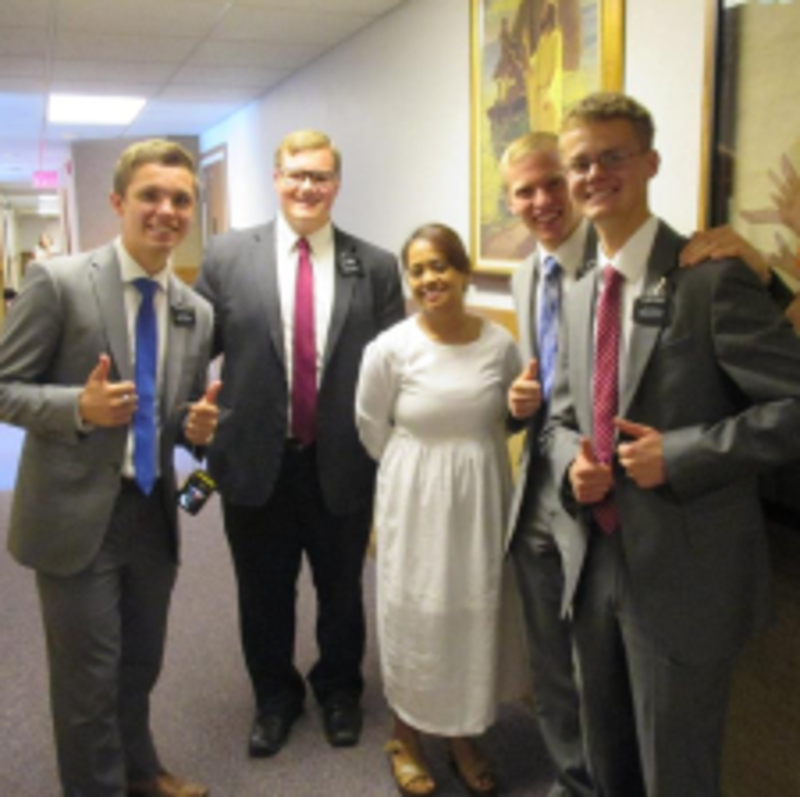 When we were able to meet with her, we reviewed a few commandments, talked about the temple, and explained about the ordinance of doing baptisms for the dead. It was amazing to see what she already knew and how quickly she was progressing. After about three weeks of our meeting with Bona, we invited her to attend the baptism of an eight-year old who lived in our ward. The day after attending that baptism, Bona sat us down and confidently told us, “All right, I am going to be baptized on August 7th.” Her suggested date was only a week and a half away. Then, the Filipino members in the Don Valley Ward took over in planning nearly everything. We were so impressed with the love and caring they showed. My companion and I were able to be the witnesses for the baptism (my first time) as well as participate in her confirmation the next Sunday (also a first for me). My companion went home the next transfer, but my follow-up trainer and I were able to attend the Toronto Temple with Bona and participate with her in doing baptisms and confirmations for the dead. As a new member, Bona loved being able to serve in the temple! Shortly after this temple experience, I was transferred and lost contact with Bona. Nearly a year and a half later, though, all the missionaries in our mission were allowed to go on Facebook. I was now able to reconnect with her on Facebook and learn that she remains active in the gospel. Bona has even gone to the temple and been endowed! 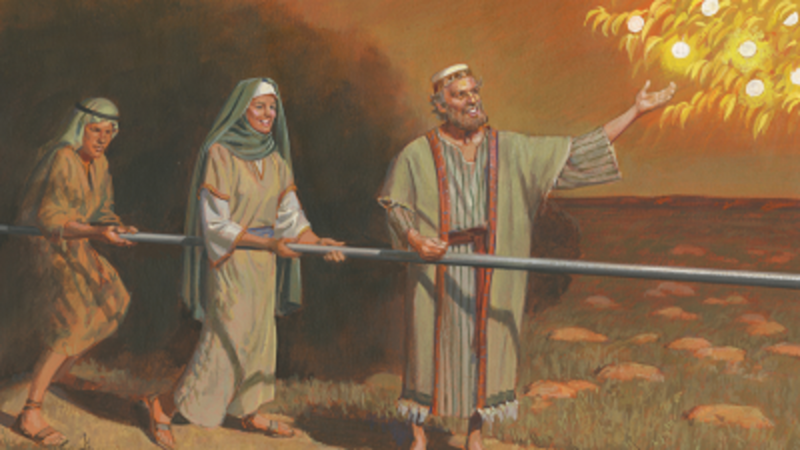 The experiences that I had with Bona are truly “…tender mercies from the Lord…” (1 Nephi 1:20). They have strengthened my testimony. I know that this restored gospel is God’s work. Bona is a choice daughter of our Heavenly Father who had been prepared to receive the gospel. As missionaries, we taught the lessons outlined in Preach My Gospel, reviewed commandments (most of which she was already living), sent her scripture texts every day (with a flip phone), and invited her to the baptism of an eight year-old child. The key, however, was that Bona allowed the Spirit to confirm the truth of what she was learning and experiencing. The Spirit is what gave her the faith to draw closer to her Heavenly Father and make the critical decision to be baptized and confirmed a member of The Church of Jesus Christ of Latter-day Saints by the priesthood authority to act in God’s name. 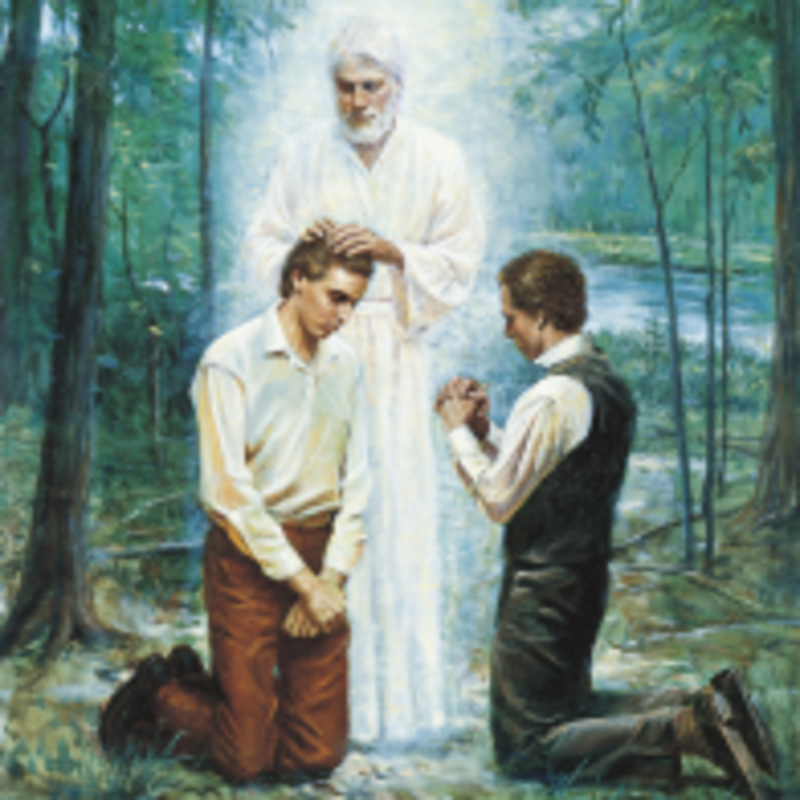 According to Joseph Smith’s history, one of the most important revelations received by Joseph Smith shortly after the restoration of the Aaronic Priesthood in May 1829 was the following: “And now verily, verily, I say unto thee, put your trust in that Spirit which leadeth to do good—yea, to do justly, to walk humbly, to judge righteously; and this is my Spirit. Verily, verily, I say unto you, I will impart unto you of my Spirit, which shall enlighten your mind, which shall fill your soul with joy; And then shall ye know, or by this shall ye know, all things whatsoever you desire of me, which are pertaining unto things of righteousness, in faith believing in me that you shall receive” (Doctrine & Covenants 11:12-14). During my two years of serving as a missionary in the Canada Toronto Mission, I have seen God’s hands working in the lives of each of His children. The challenge for every one of us is to invite the Spirit into our lives each and every day. This will allow the Lord to “Light our minds with heaven’s view” (“Let the Holy Spirit Guide,” Hymns, no. 143).